You are browsing the archive for Anne Braden. The website opens with a slideshow and a recording of “Anne Braden” by the Flobots, an American rock and hip hop musical group from Colorado (the Flobots online radio segment “White Flag Warrior” is available free at Jango) – you can see the powerful lines of the song at AZ Lyrics. This is a terrific resource for young readers and highly recommended by Dr. Cate Fosl, director of the Anne Braden Institute for Social Justice Research in Louisville. What would YOUR newspaper headline be? In The Maid Narratives, there is a section containing interviews from white families titled “Defiance of the Norms to Stand Up against Injustice.” These narratives include stories from families who treated their help as if they too were part of the family. One man writes about attending his brothers wedding and how his maid, Anna, sat right next to his mother during the ceremony. Another narrative, From Elise Talmage of New Orleans, tells of how her family’s maid would enter the front door every morning and eat at the table with the family and their company. Though it was customary in the south for maids to enter the back door and eat alone, this family defied the boundaries of race by letting her act as only white people were expected to. Similar the Talmages, Anne Braden was a woman who defied cultural restrictions and fought against prejudice. Among her many efforts as a civil rights activist, she promoted the desegregation of hospitals in Kenutcky, and was a leader as part of the Civil Rights Congress. However, Anne’s most notable act that involved defying norms and standing up against injustice involved the Wade Case. In the 1950s, the city of Shively in Jefferson County was primarily a suburb for whites, and African-Americans were not allowed to purchase homes. Andrew and Charlotte Wade, an African-American couple, had attempted to purchase a house in the neighborhood but had not been successful because of their race. Anne and her husband Carl decided to purchase the house for the Wades since they were unable to. This let to an enormous amount of violence towards both the Bradens and the Wades. The Wades house was eventually dynamited, and the Bradens were accused of communism and blacklisted from local work. These setbacks did not stop the Bradens however, and they continued to fight for equality. The Wade’s bombed house in 1957. After analyzing all of these stories, it is important that we realize all contributions, no matter how big or small, played an important role in changing cultural standards and promoting integration. Even the smallest acts, such as letting a black maid enter your home by way of the front door, made a big difference in someone’s life. “Anne Braden.” Wikipedia. Wikimedia Foundation, 16 Feb. 2013. Web. 26 Feb. 2013. Fosl, Catherine. 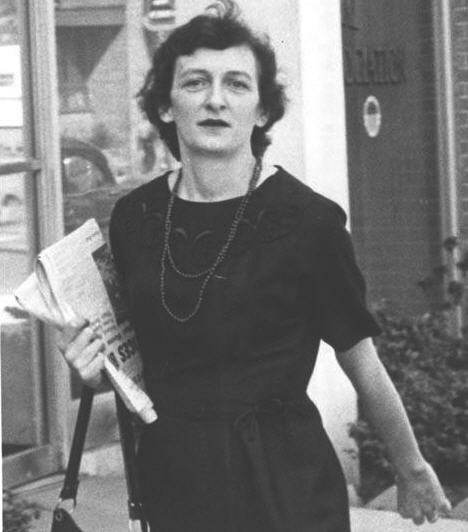 Subversive Southerner: Anne Braden and the Struggle for Racial Justice in the Cold War South. Houndmills, Basingstoke, Hampshire: Palgrave Macmillan, 2002. Print. Van, Wormer Katherine S., David W. Jackson, and Charletta Sudduth. 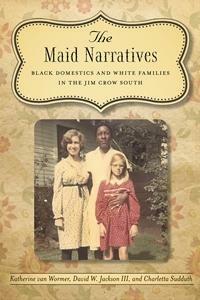 The Maid Narratives: Black Domestic and White Families in the Jim Crow South. Baton Rouge: Louisiana State UP, 2012. Print.